Welcome to 408 River St. 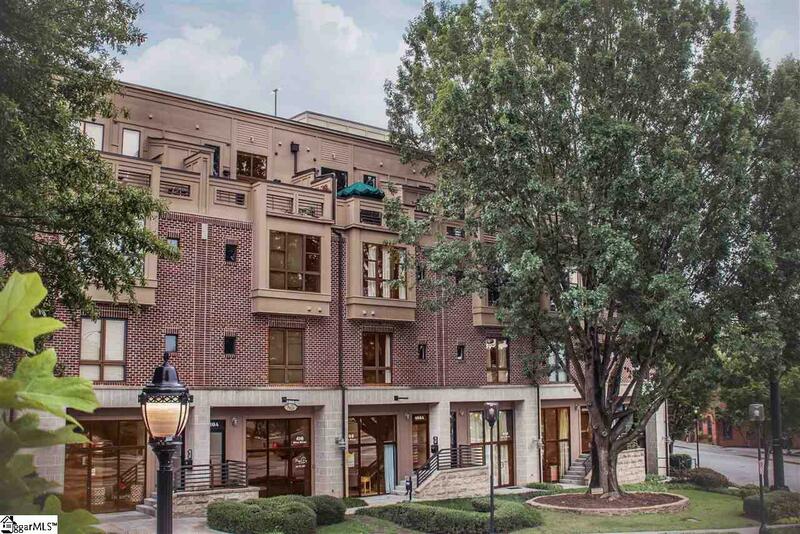 Embrace the true downtown lifestyle in one of the only live-work condos in existence in Greenville. Custom touches and upgrades abound including reclaimed hardwood floors throughout and new LED lighting that complements the natural light flooding in through the large windows on every level. 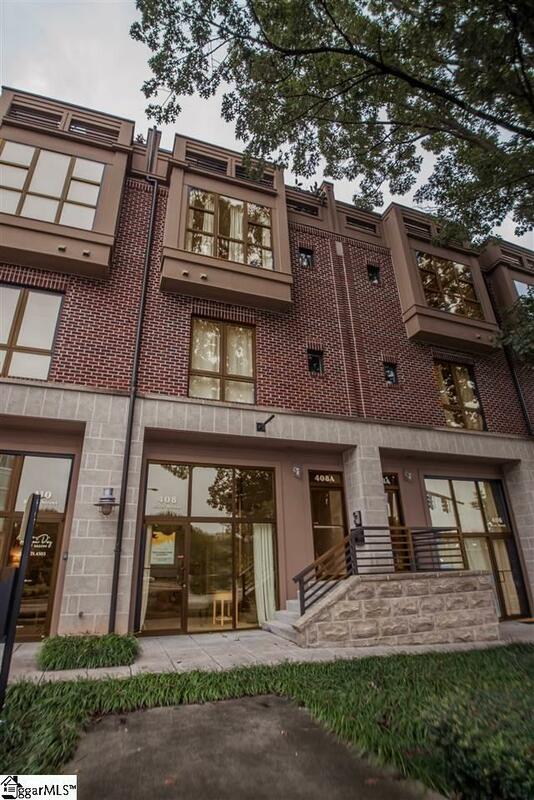 Three floors of residential space include 2 bedrooms and 2.5 bathrooms. 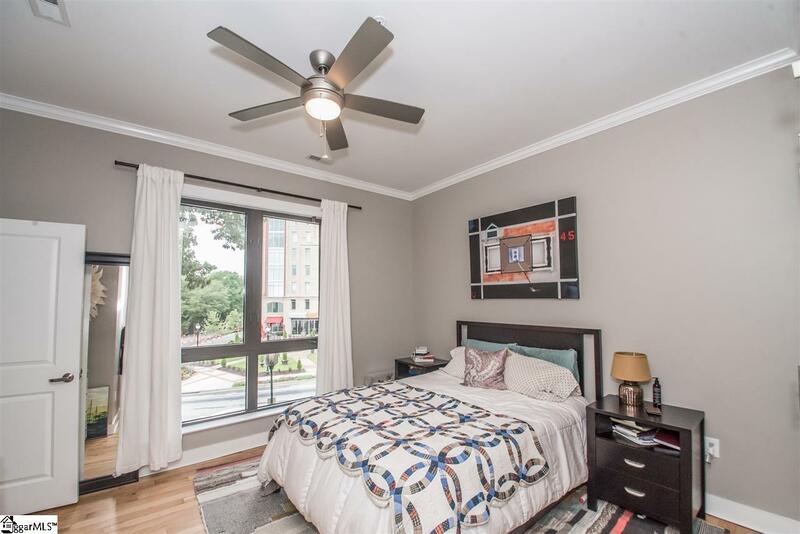 Convenient access from the covered parking garage to the second floor level gives a "master on main" feel with a recently renovated master bath providing a dual vanity and walk-in shower. A spacious, open layout on the third level includes the renovated kitchen, dining and living areas, as well as a convenient and updated half bath. The kitchen was wonderfully renovated with custom cabinetry, new quartz countertops, stainless steel appliances, tile backsplash, and shiplap around the large peninsula. The fourth level has a loft-style bedroom with its own walk-in closet and full bathroom which is currently being used as a home office. Highlighting the top floor is the massive 16x11 uncovered balcony with views of the Reedy River, River Street, and Limoncello's immaculate courtyard. 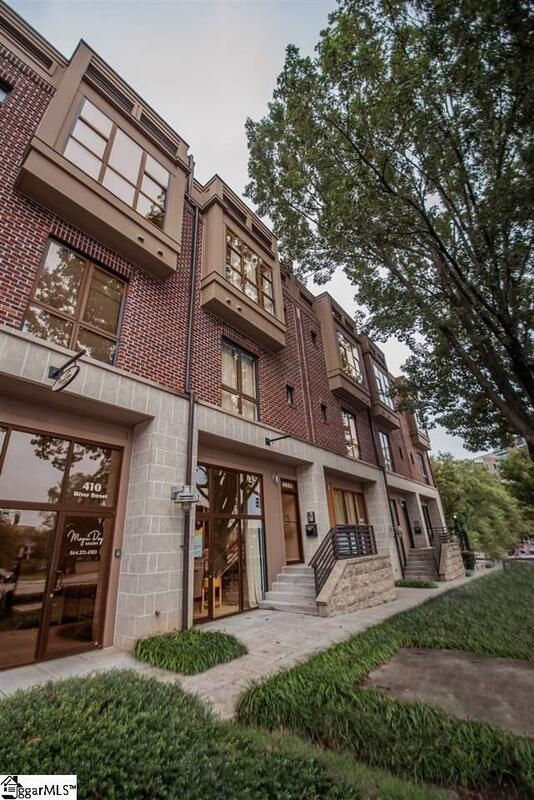 The street-level commercial space is great for receiving rental income from a tenant, personal use, or owners to run their own business out of.